I have 2 huge boxes full of old tech, everything from vintage flashbulbs to miles of SCSI connectors. I've been trying to figure out what to do with it all, other than take it to County Electronics Recycling Day. Hopefully, I'll get some good ideas here. 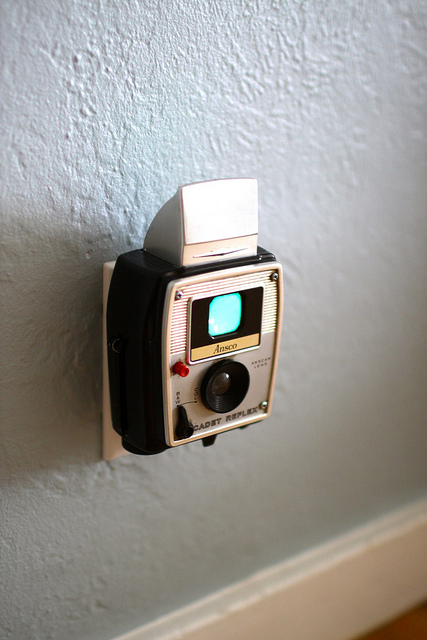 I so wish that I had the kind of brain that could figure out repurposing things. I think it's a gene or something. I can only see something doing what it's designed to do. Then, I see what someone else does with it, and I go, "BUT... how did I not see how it would do that?!" I guess in the crafty parade, I'm the person who claps as the cool kids go by! Thanks for posting these so that I have new toys to lust after!!! Totally going to have to have one of those phone purses. That's adorable. 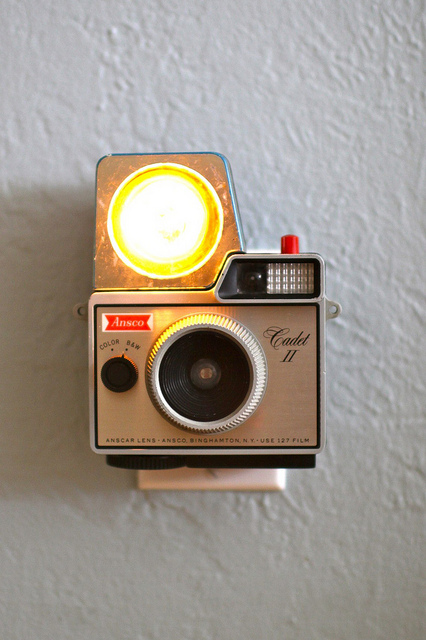 And those camera night lights? too stinkin cute. That typewriter is awesome! One of my favorites is something I saw at the local IT shop close to 20 years ago: a fishtank made from an old apple computer. 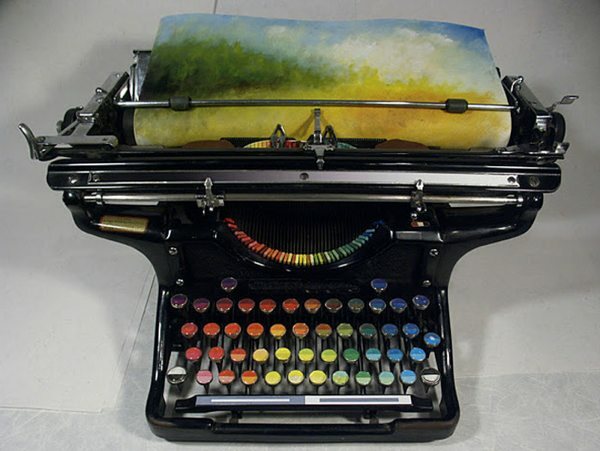 Sadly, the text for the color typewriter states that it doesn't actually paint at all. Interesting concept, though! LOVE that purse. I think I need to make one. Ooooh! I'm making a new purse! And...now I know what all my female relatives are getting for Christmas. Yes, this necklace made from a vacuum tube, which I own and adore. I went to the link and the color typewriter doesn't actually function. Still super cool though! My Friend pinned this Chinese version of your tutorial on Pinterest Flop Tutorial. I pointed her in the direction of your original post instead. I was googling for geeky bag ideas the other day actually, as I need a new bag, and was looking for inspiration. But I'm not sure if it's "me" (though if I can find enough purple disks, I'd be sold on the idea)... but I will be making a pen holder! .. but all in all (and after nearly buying a stormtrooper backpack), I think I've decided to make myself a Hylian shield backpack. 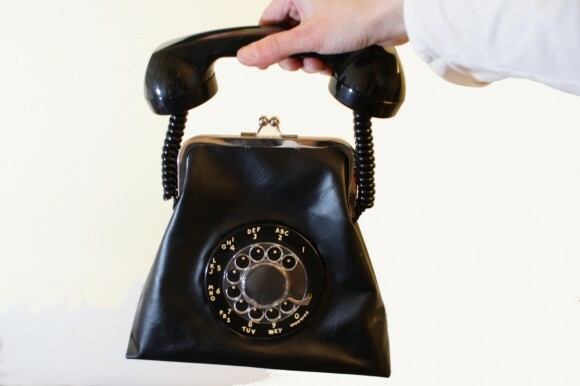 You could probably turn the phone purse into a cross-body bag if you had a long enough cord (probably wrapped around rope to keep it from stretching out and sagging). As MaryM said, the typewriter doesn't actually paint... One of the many, many problems I can think of is that you'd have to keep replenishing the ink pads after every use, meaning a supply of all the paint colours as well as brushes to apply the colours to the pads... Might as well paint normally! So it's not a piece of art that makes art. But it's interesting art! 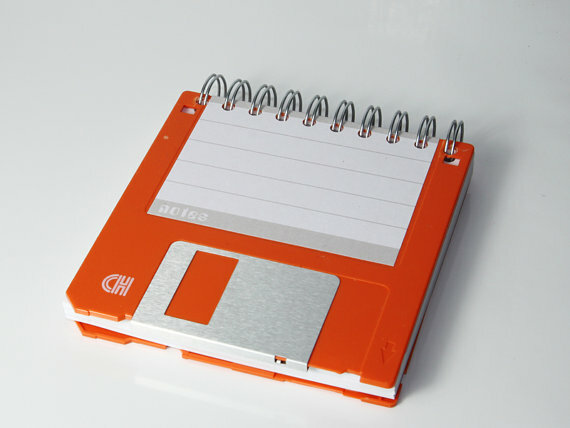 Is it wrong that I sometimes still use floppy disks? Or is it just wrong to admit it? I actually knew a Jason Hull a few years ago and it turns out THIS IS HIM! The phone purse is actually pretty easy to make, short of the clasp part. I need the right glue still. But now I'm off to figure out how to make a cross body strap.